My definite favourite Cathy book of all time. I think it's because of the tribly's, converse and saxophone thing going on...very me! Fantastically written book. Truly amazing. Maggie has an phenomenal way of writing that intices you in. Whenever you read a book, you can picture a film in your head - With Shiver, you were the characters. 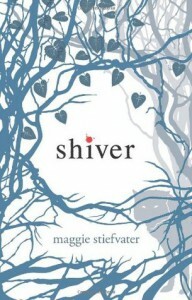 I understand that with a lot of well written books you can find yourself wrapped inside the story, but I find they weren't as clear as I had experienced in Shiver. The best example of this is the smells, Maggie has produced a way of writing that can actually smell what you are reading. It's one of those amazing bits of literiture that stays with you all day. So, basically, a massive thumbs up ~ If you haven't read this yet, where have you been? !